!! !PLEASE READ AS CHANGES ARE EXTENSIVE!!! 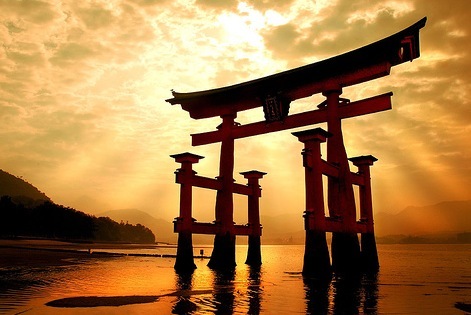 More information of the origins of ShinTo Kernel can be found in previous version posts. Once inside recovery (tested with TWRP 2.8.1.0) you select install and choose the .ZIP that you have previously downloaded from here. Flash any other kernel you would like on top of ShinTo Kernel. ShinTo kernel uses it’s own unique and private “init.d” so from this version on, it won’t touch /system/etc/init.d anymore. How to go from EXT4 to F2FS & vice versa? Open Synapse and make sure all settings are stock, if it tells you that your previous settings cannot be used, click “Understood“, and then click the apply check mark at the top. Go into ES File Explorer or something of your choice and get ALL USER DATA THAT YOU WISH TO KEEP off of the internal SD card. IF YOU MISSED IT BY NOT READING #5, YOU WILL LOSE ALL PERSONAL DATA ON YOUR INTERNAL STORAGE BY DOING THIS (as TWRP doesn’t back that part up)! Drop to TWRP and run a FULL NANDROID BACKUP to your External SD Card. Choose f2fs and go through the steps where it tells you that all data will be lost and apply it. Follow steps 9-11 for Data and Cache one at a time. Do a restore, but ONLY CHECK SYSTEM & DATA for restoral, NOTHING ELSE IS NEEDED. It will tell you that your backup was made with ext4 and may not boot, don’t worry it will boot. After restore, reboot your device. First boot will take a few because it’s a new file system and your apps will have to reconfigure themselves, etc. You can see what partitions are in what format if you go to the i/o VM tab in Synapse. For the time being, it has been confirmed to run very fast & stable on the Samsung Galaxy Note 3 SM-N9005 (international SnapDragon) and on N900T (TMO T-Mobile USA), on any Samsung TouchWiz rom. Won’t mount /system on F2FS volume. Tried that twice. Went back to 002 version and all works well. Yes, there seems to be an issue with that. Am recovering nandroid and retesting again with logs to see what is going on. Thx for reporting and apologies for the inconvenience. ALL OUTSTANDING ISSUES HAVE BEEN FIXED. I had an issue with Synapse, I have the message : No UCI support detected, with previous version of kernel no prob. 1) Go to your SUPERSU app, locate Synapse, tap on it and hit forget. 3) Launch Synapse again, SuperSU popup will appear, grant ROOT permission to Synapse. 4) Check to see if it works or not. Goto settings/General/Application Manager/Synapse ->”FORCE STOP” & then “CLEAR DATA”. Hello, did someone have some issue with GPS Fix? I can’t find any GPS using Sygic under Shintô but no problem with stock kernel, so maybe it’s hazard but if someone else have this issue maybe it could be kernel relative ? Can’t be sure on my own. Weird… I haven’t used the GPS in about 4 days. Launched just now “GPS Status” and it took about 10 seconds to have a lock with about 12/21 sats…? Can you try with “GPS Status”, leave it for a few seconds and check if there’s activity and how many satellites it thinks it can see.? That’s very weird, I tried GPS Status and no problem I had 14/20 sats but no GPS fix on Sygic and Maps, will try again and will get you feedback. Well at least we know that GPS IS working but there’s an issue with these two apps trying to access the gps service. GPS Status has an option to show on status bar when the gps is being accessed. Please activate that and also make sure that in gps settings you have granted permission to google maps to use the gps. Goto settings/General/Application Manager/Maps ->”FORCE STOP” & then “CLEAR DATA”. Maps should redownload data and settings, so make sure you have wifi just in case. If all outstanding issues has been fixed, does it mean I should re-download 003 version (fixed one?) or just wait for 004? Well, up to you, but if you want to avail of the fixes then yes. Still fixing some minor stuff, soI would advise to wait a few hours for the new version to be installed. Re-downloaded 003v824 and it happily works on F2FS. For that, thank you 🙂 Now, you mentioned that using precog governor is best with disabled Boosts – should I just disable them in Synapse or any additional action is required? Also, is there any performance advantage in having /cache as F2FS and which recovery allows it to be formatted as such? Forgetting SuperSU permission for Synapse fixed “no UHCI support” error. Well… Cache gets seldomly written to as a matter of fact with TW rom… Just when doing some OTA. So not the hassle to format it. Change settings in Synapse for PrecoGov. Next version I will try to automate that so you won’t have to bother with it. I am recoding my stuff to make sure it runs on any rom even if they are in bad shape or don’t have busybox properly installed, etc so expect a new build soon. What was the issue and what did you do to fix it? The problem was only with GPS navigation apps, I reinstalled stock kernel, try sygic, it worked, reinstall shintô and that was fixed :-), maybe a problem with GPS localization. I have three interesting futures to ask for 🙂 One would be to disable the “after 10 minutes fallback to usb 2.0 from usb 3.0 connection” and another would be to set defult connection mode as usb 3.0 instead of usb 2.0 if the user so chooses. Both would be very welcome for both faster data transfer and DriveDroid. The last would be fiddling with 5 minutes recording limit for 4K videos (it is not a limitation of write speed for internal memory), is that some kind of limit for cpu throttling and resulting frame dropping? The 4k video thing could very well be a space issue. See, exFat, and Fat32 (which is essentially what our internal storage is reported as) has a file size limitation of 4.xG, so if a 4k video comes close to or exceeds that, you wont get more than the 5 minutes. My beast hasn’t felt this snappy! I’ll soon publish a new version that irons out all other little issues. On my N9005 everything works well until second speaker is enabled. Then everything slows down, and music apps stops working. I’m on X-Note 21 ROM with Lean kernel. Any ideas why? Well if you are on xnote and lean kernel and have this issue then go ask them. I would really like to use this kernel and all of the features that it has. Could you recommend which ROM to use? I try convert to F2FS but got a problem. Restore System partition always get failed at the end. I see the system partition size decrease 200mb after convert to f2fs and don’t have enough space to restore. I’m using S5 ROM port. Anyway, thanks for good kernel. It’s already been covered and discussed. F2FS needs around 200mb of free space to do its thing. Once you free that minimum space you will be able to restore just fine. Tried a few ROM’s with no luck. Phone doesn’t boot after installing kernel. Can the problem be with NJ2 bootloader or modem? Thank’s! Re-download ShinTo Kernel from here and try again. Everything works now 😀 Looks like first download was corrupted or something like that. Thank you for your help and for this fine kernel. hi i have the same problem of s1mp3, i have tried to re-download few times your kernel and the phone want boot. i have the n9005, with rom g00h and ael kernel and i really want to much try your kernel but i cant! what i can do?! awesome!!! thanks a lot i go to flash and try!! best regards from italy !